Nikelwa Tengimfene is the General Manager for Corporate Communication & Stakeholder Relations at the Nuclear Energy Corporation of South Africa (Necsa). She is described by her contemporaries as a compassionate and inspirational leader, qualities that can be attributed to her training and Masters qualification in Industrial & Organisational Psychology obtained from the University of South Africa (UNISA). Tengimfene also holds a three-year Advanced Diploma in Social Work from the National Social Welfare Training Institute in Dar es Salaam, Tanzania. She joined Necsa in 2015 to oversee communication for the Necsa Group of companies and to develop and manage the implementation of Necsa Corporate and Stakeholder Relations Framework strategies. 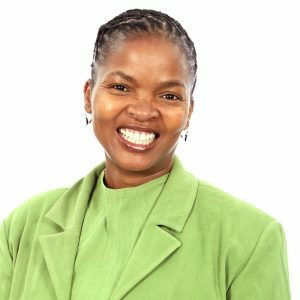 Among the positions she held prior to joining Necsa, Tengimfene was Chief Director for Cluster Communication at the Government Communication and Information Services (GCIS) and Director for Development Communication & Information Services in the Office of the Premier in Gauteng.